Once Virginia Beach’s municipal Internet network is fully implemented, the city will save about $500,000 annually in Internet access fees, Matt Arvay, Virginia Beach’s chief information officer, told the Virginian Pilot. For many years, Virginia Beach has paid to lease lines from Cox Communications for buildings not on its network. Without the need to lease those lines, the city can better control and predict their telecommunications costs. City officials see expanding their municipal network also as a strong enticement to retain and attract economic development, including biomedical companies and other new high-tech businesses. That includes establishing “connectivity opportunities for Old Dominion and Norfolk State universities and Tidewater Community College,” Mayor William D. Sessoms Jr. said recently in his 2016 State of the City address. 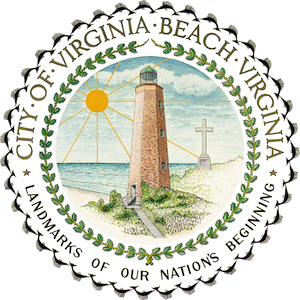 The mayor and other city officials also envision their expanded municipal network will provide neighboring cities the opportunity to connect to Virginia Beach’s network for their own municipal broadband. Besides addressing its growing municipal needs, the city of Virginia Beach anticipates having enough fiber available to lease fiber to private businesses. If that occurs, one potential beneficiary could be the developers of a proposed biomedical park on 155 acres in Princess Anne Commons, according to Warren Harris, the city’s director of Economic Development,in the Virginian Pilot news story.